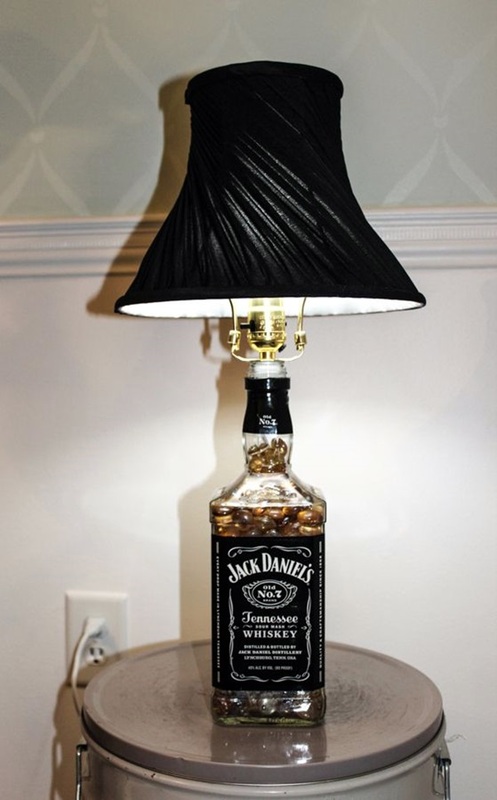 You arranged a get-together for friends and relatives at your place with the hard drinks. It was a gala time and fun while drinking and dancing with all of them. 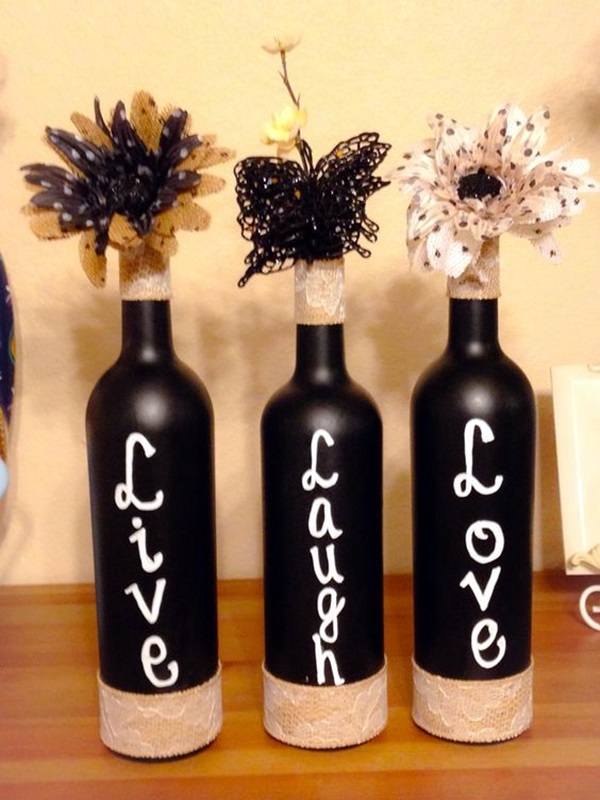 But, once the party gets over, what you do withthose empty wine bottles? 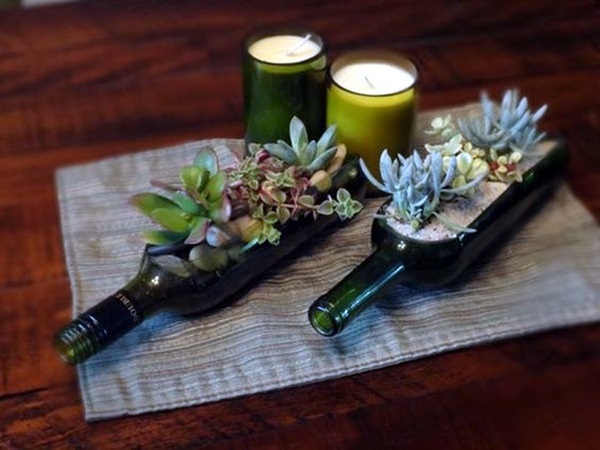 Youjust throw them away, right?In reality, wine bottles are much more useful and versatile than this. 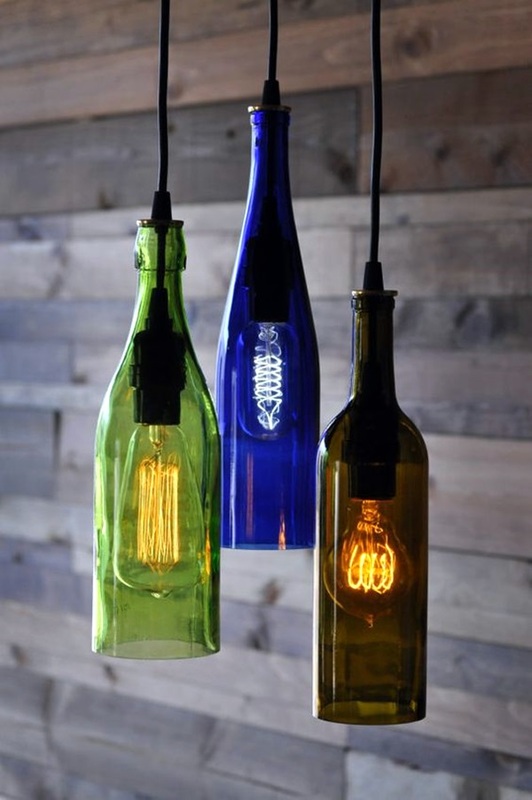 The glass bottles can be re-used and can actually be converted into various home decorative items and objects. 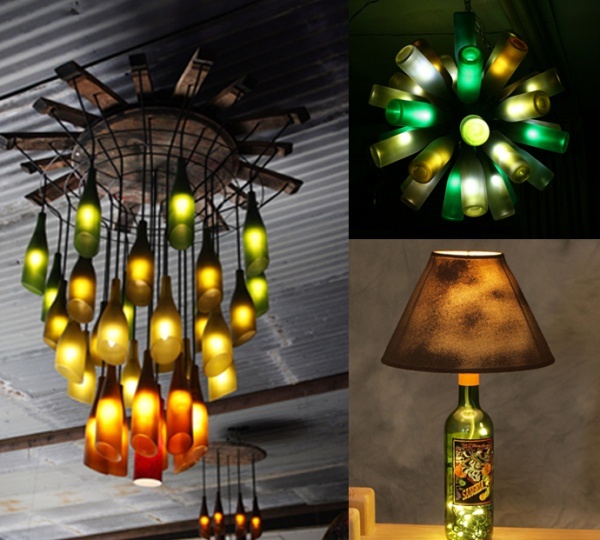 If you are somebody who loves to re-invent your home and light-up your garden area with magnificent and Do-it-Yourself creative ideas then this write-up will work in your best interest. 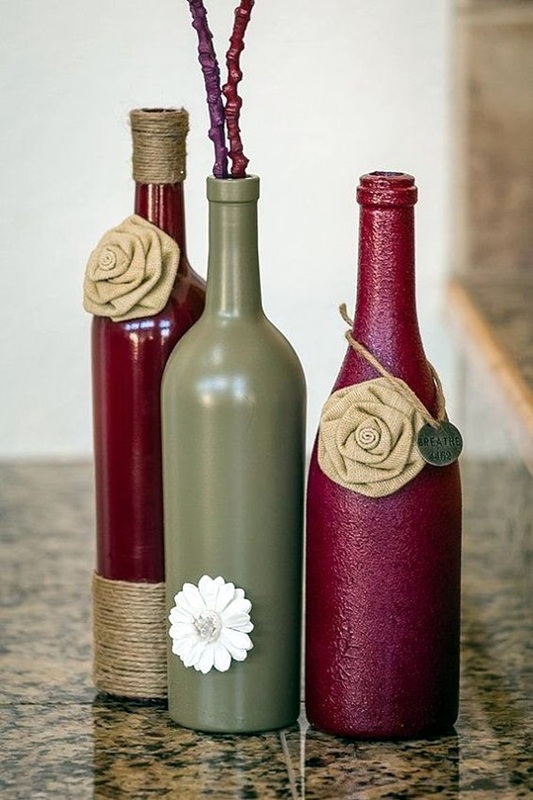 Don’t toss those old wine bottles; instead use them in a variety of Cool Wine Bottles Craft Ideas. 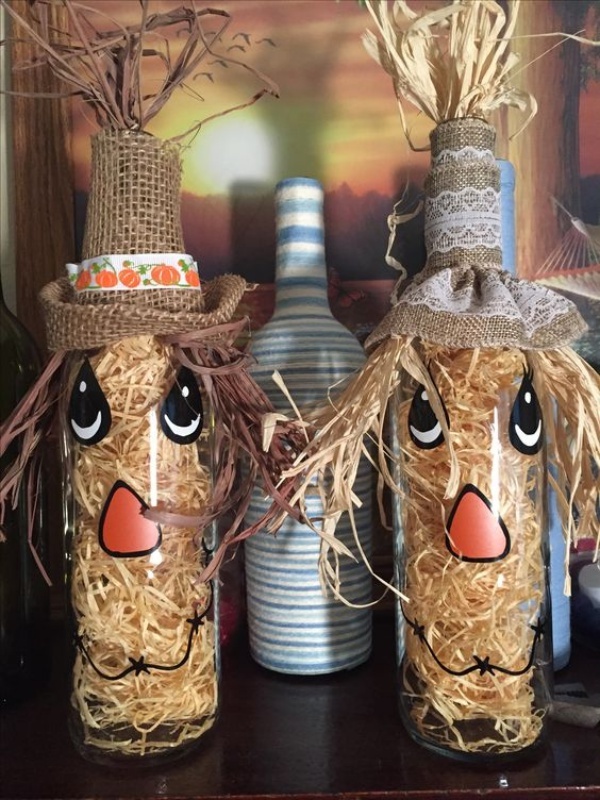 Create lamps, decorative items, and cute ornaments to simply lighten up your home. 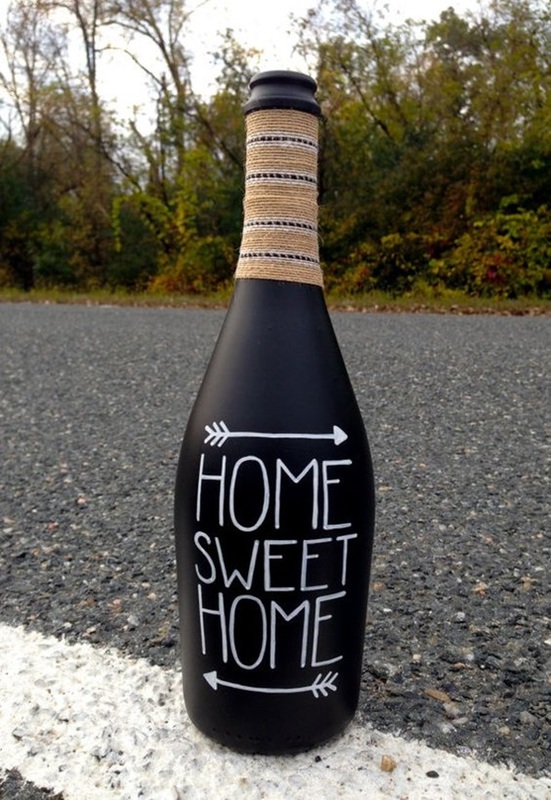 Also, don’t forget to save and procure the corks as well. 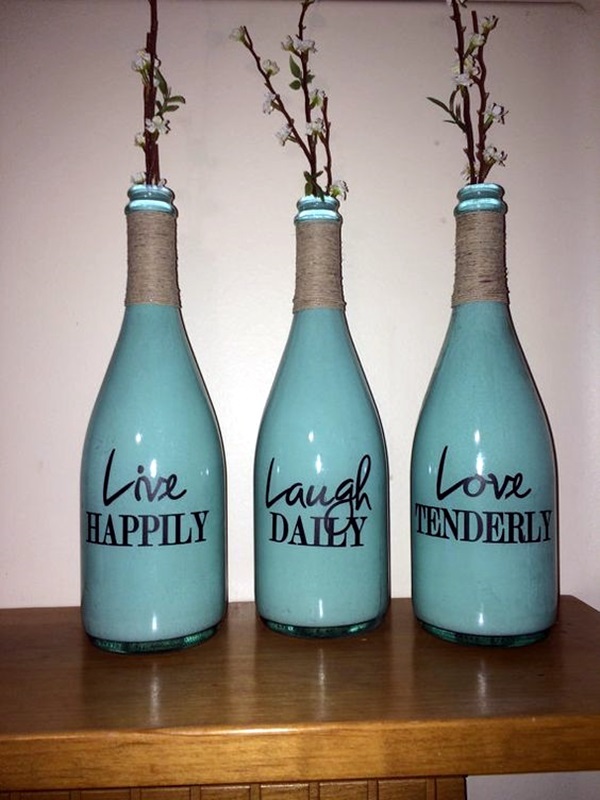 They are indeed an integral part of every decorative item. 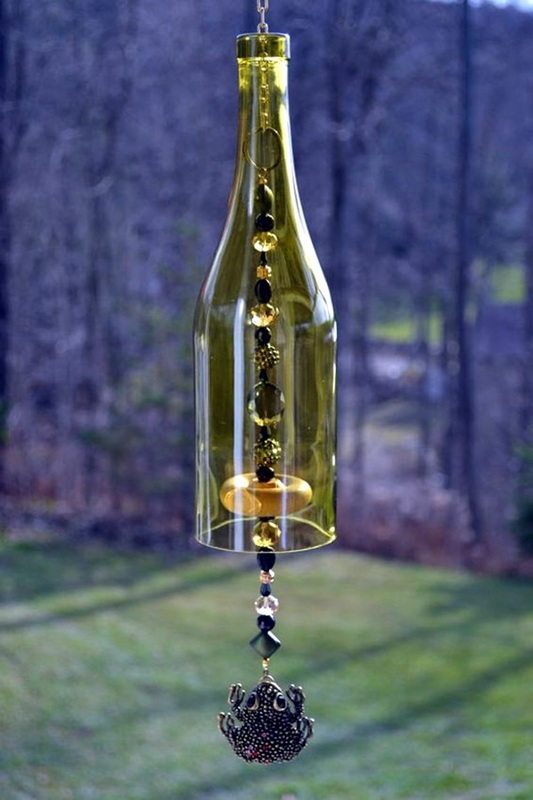 Here are some simple steps to make wine bottle feeder. 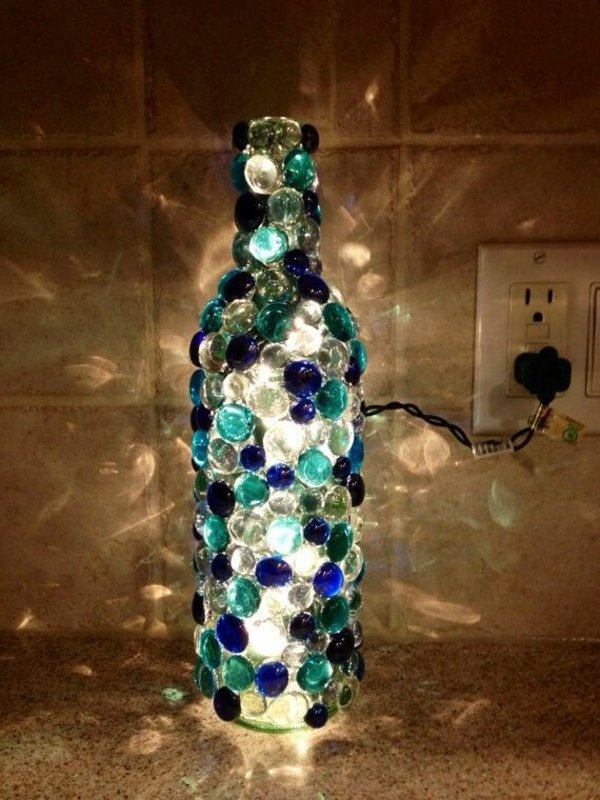 With your creativity and little efforts, you can simply turn an old wine bottle into a recycled bottle lamp. 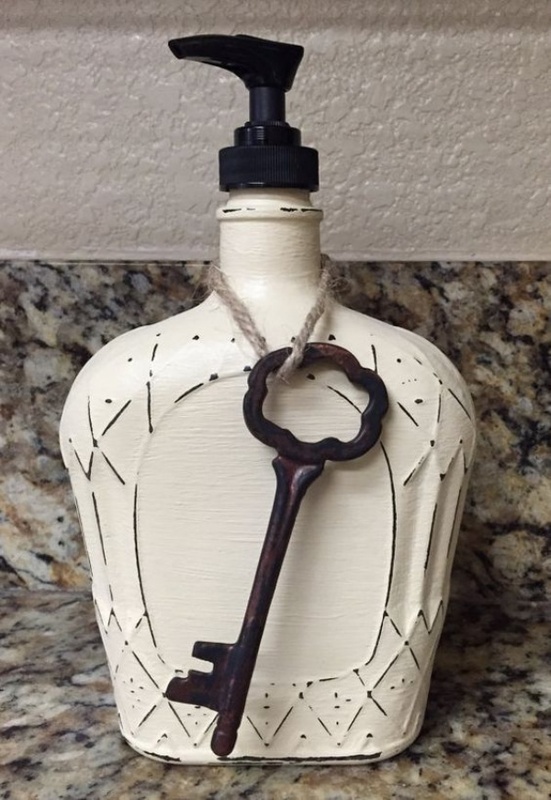 It does not require much efforts and time from your end. 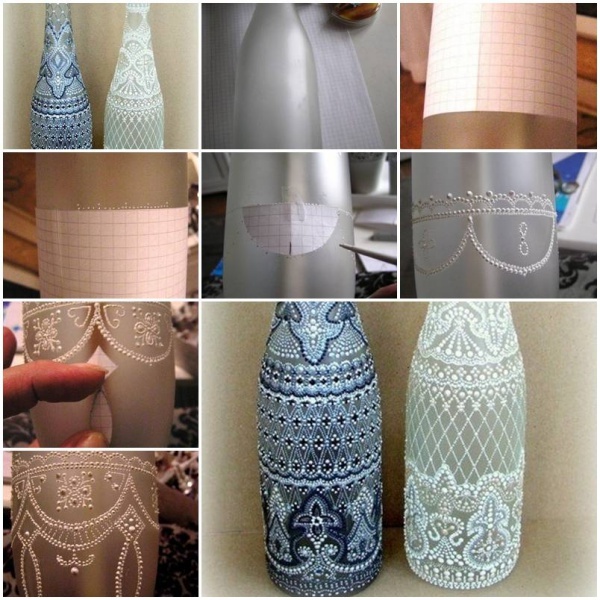 Just follow these simple steps and your bottle lamp is ready. 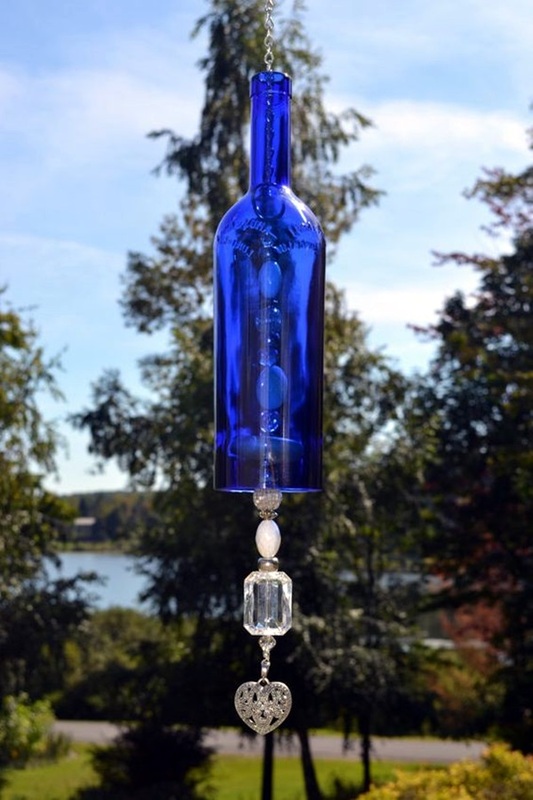 Take ½-inch glass, diamond bit and a string of mini lights. 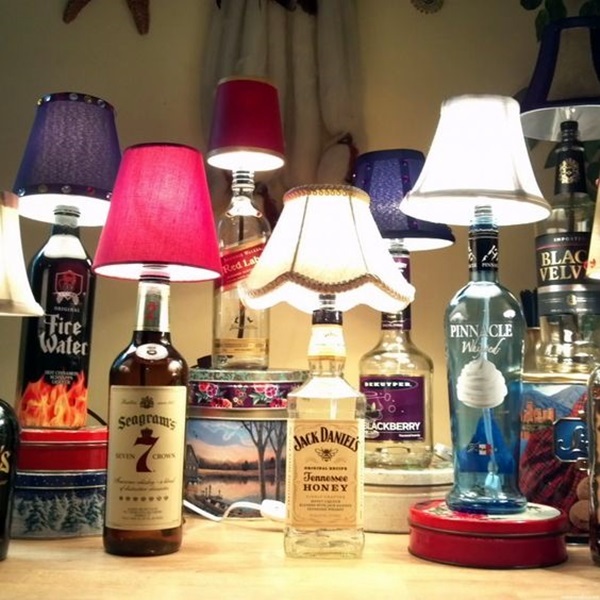 Light a bulb or light and your lamp is ready which can be used at various places in your home. 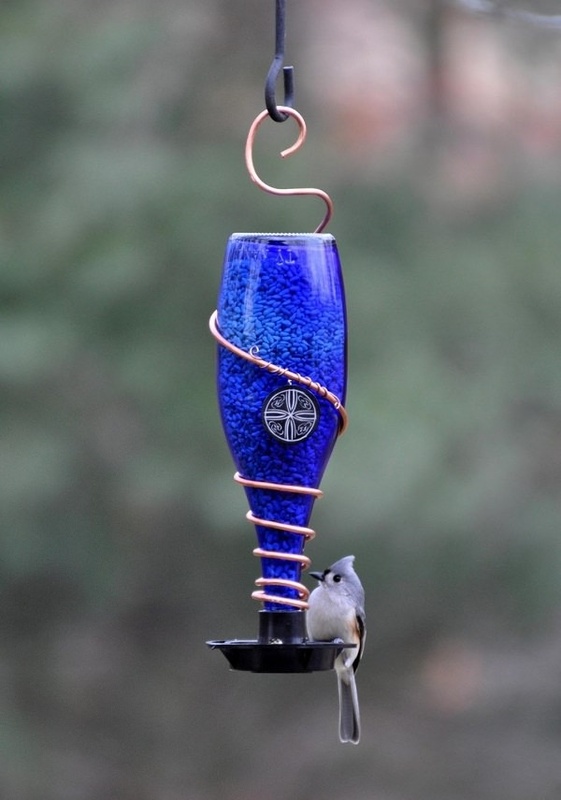 Hanging lights are much in demand. 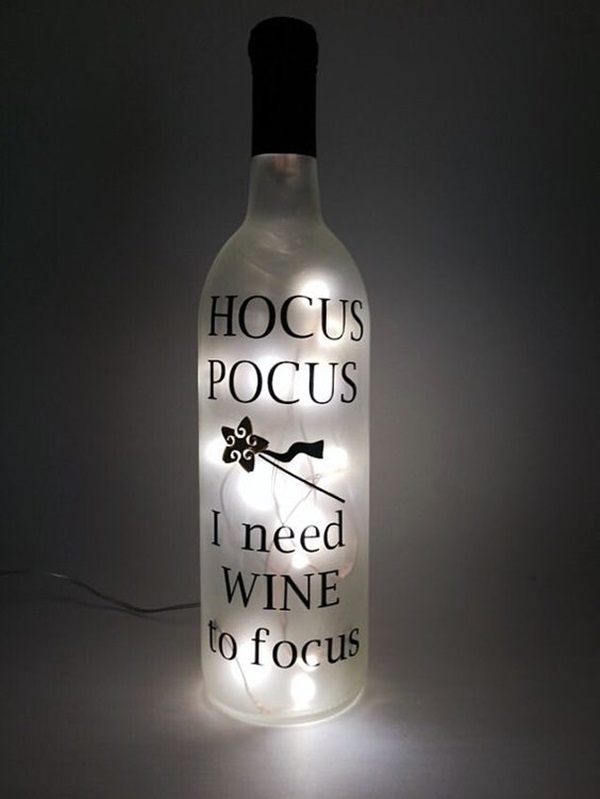 They are useful in two ways. 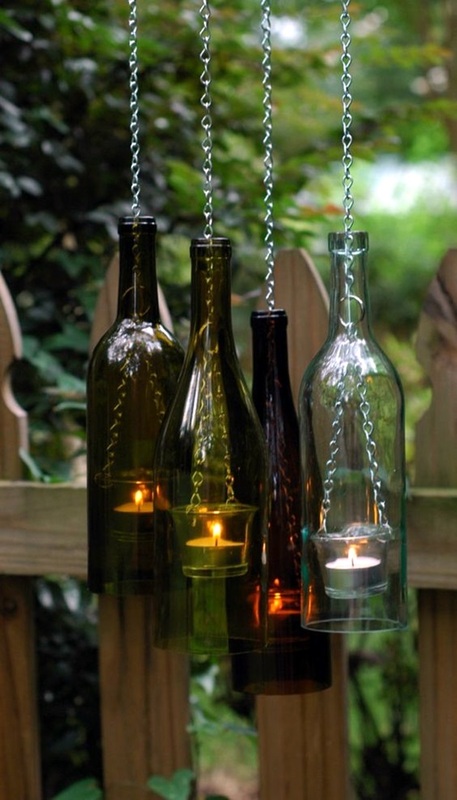 They don’t occupy much space and spread light to a larger area as compared to a still light. 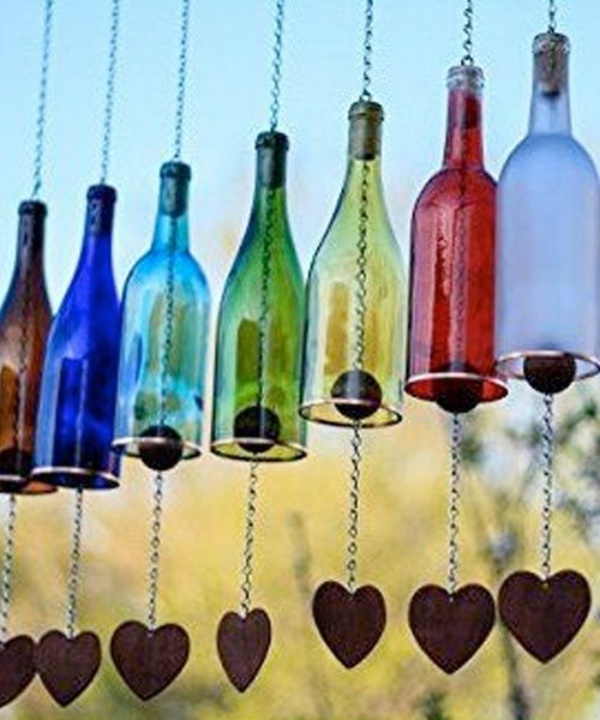 Use old wine bottles with broader width at the end to be hung with the help of cables and wires. 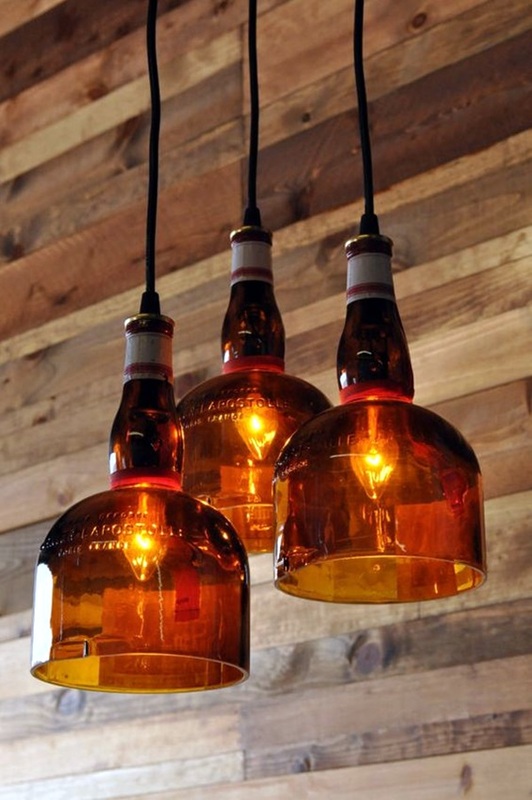 Light a yellow bulb and your beautiful handing pendant lights are ready. 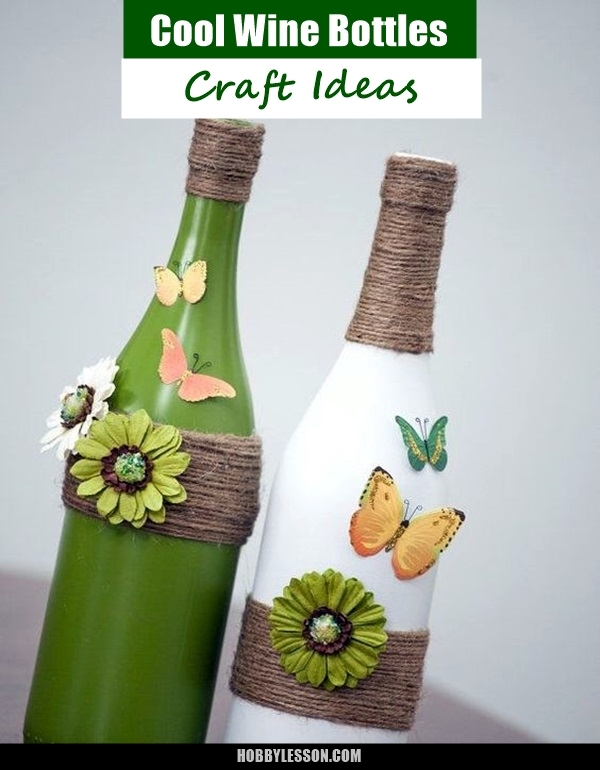 Here this article will give you some amazing ideas by which you can test your craftiness in your free times. 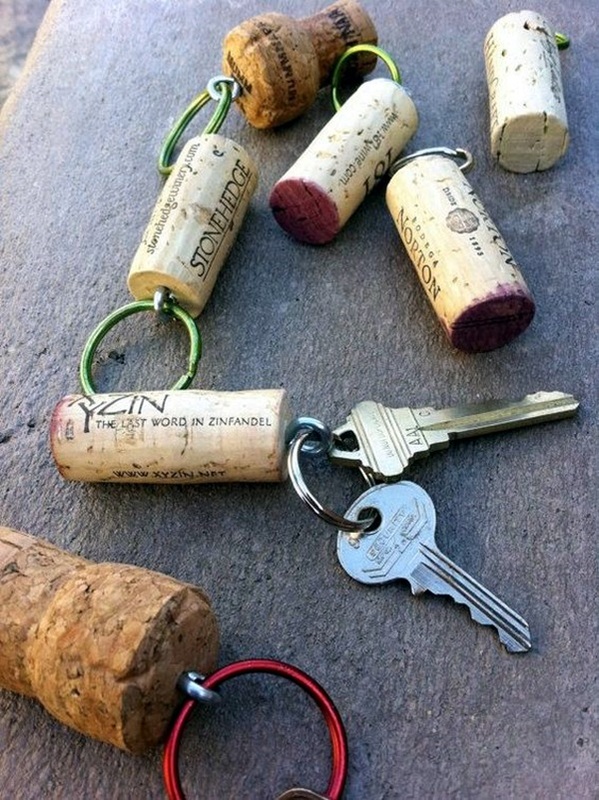 Now this why, you need to save bottle corks. 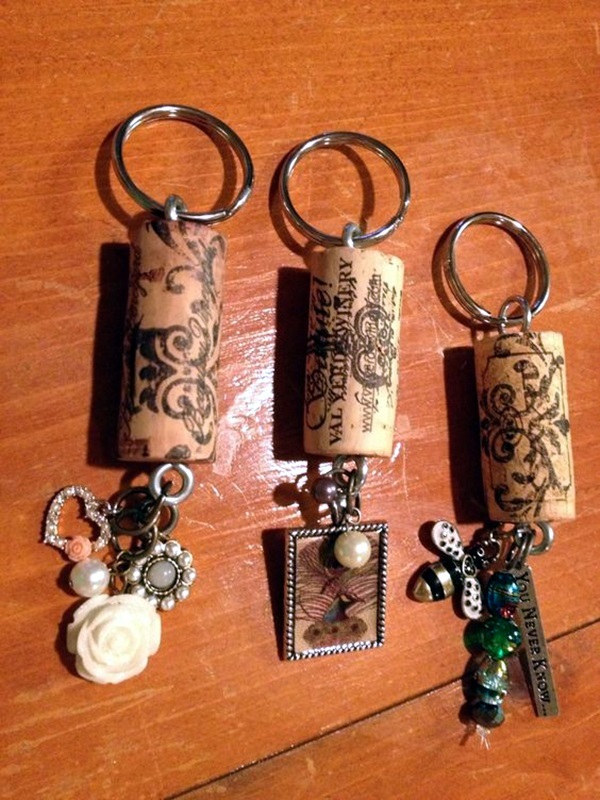 You can create number of cool and creative cork key-chains. 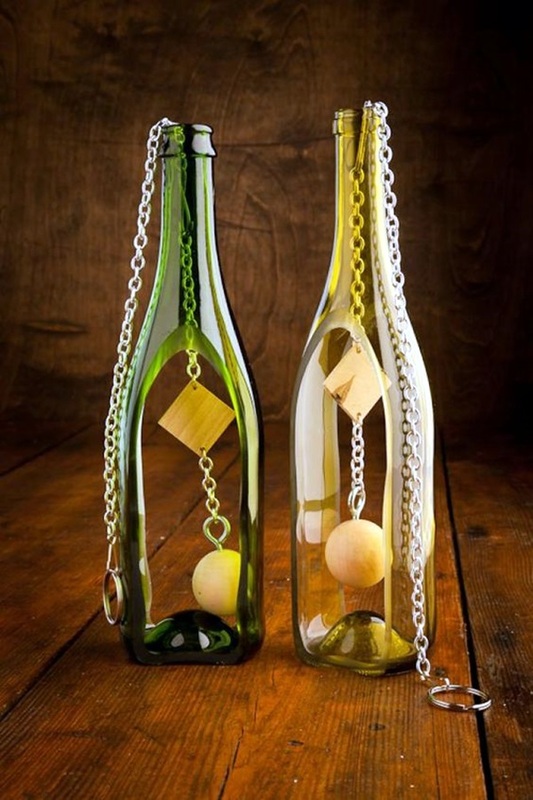 These are extremely simple to make as you just need to dig a hole and hang a hook against it. 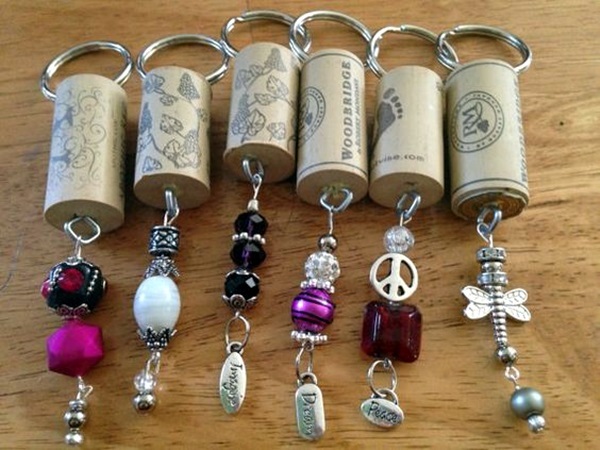 You can make your friends feel jealous with the cool key-chains in your hand.